We’re very excited to announce Queen’s first miniMBA program! The miniMBA will be 8 sessions long. The first session is Tuesday, November 21st, 2017 from 12:30pm-1:30pm. Members will receive email updates in advance of these sessions to inform them to sign up individually. To be added to our membership list, email gmca@clubs.queensu.ca. Any student who attends at least 7 of 8 of the mini-MBA sessions will receive the GMCA Queen’s University Chapter mini-MBA Certificate. At the same time, come join this virtual session hosted by BCG for an overview of how to make your application stand out. BCG will address common questions around writing a concise business style resume and cover letter,and go over some tips and tricks to help you prepare for consulting case interviews. Log in details will be shared the day of. I hope you are having a productive semester! As a graduate student, it was about this time of year that I found myself thinking about what life after the PhD might look like. 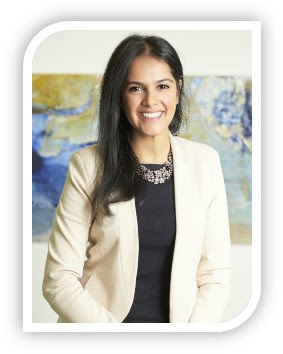 My name is Raminder Gill and I am a McGill graduate (PhD – Pharmacology, 2015) and a Project Leader with The Boston Consulting Group. Since I recently made the transition from academia to consulting, I’d like to share my experience and answer some common questions that advanced degree candidates (PhDs, MDs, or LLBs) have about consulting and BCG in particular. Consultants are responsible for owning a piece of our client’s problem. As an example, I recently helped a major Pharma company craft their strategy for commercializing a new technology. My role was to understand what capabilities they needed in order to win in this market. Most of our projects involve flying to the client site, in this case Chicago, to work closely with them on developing the strategy. I recently met with the Head of Marketing and delivered our strategy, and she’s excited to get working on launching the product. After the meeting, we took the clients for dinner at a locally renowned restaurant, and followed up with a basketball game! If you are interested in learning more about the work we do at BCG and who we are, please join us at one of our upcoming Connection Events.